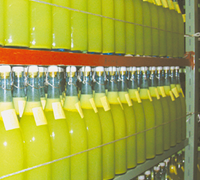 By producing a small quantity through manual work, we make effort to provide more valuable and high quality premium juice. 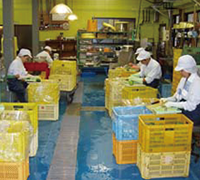 Yuzuya operates consistently from production to sales. 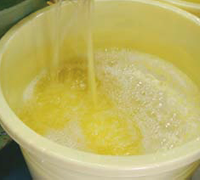 To avoid the rough, bitter taste,we press the fruit one by one carefully in the juice pressing process. 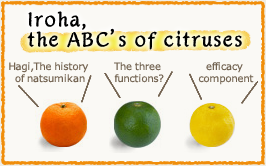 That is how we can get the rich aroma of the juice originating from the citrus itself. 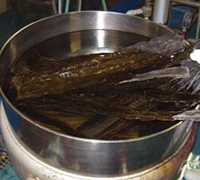 Additionally, to bring out the graceful and full body taste, we mature the juice for a full ten months. 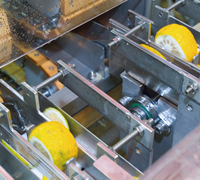 Since we squeeze the juice manually, and mature the juice for a full ten months period of time, our production efficiency is lower than average. 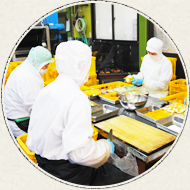 Through devoting a lot of time and energy we continuously plan and make effort to provide high quality premium juice and also raise the value of on other products. 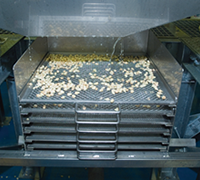 We always pay close attention for sanitation and quality control during work, so that we can deliver a safe and secure product. 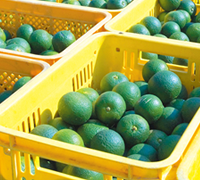 Our workroom is full of citrus from the local contracted farmers and suppliers when we are at our peak period. It fills the workroom with a fresh fruity aromatic scent. 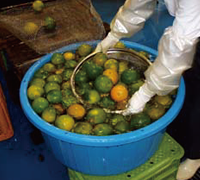 First, we semi-process the citruses as raw material.This depends on how we process them into what product. 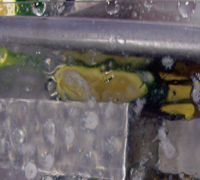 And then we process the material into juice, peels, slices, and paste. We sort out the good fruit from the bad. 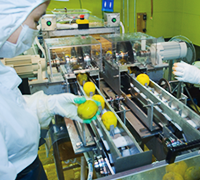 Processing and preparation of the fruit depends on what products we make them into. 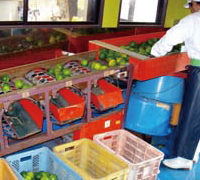 We set the fruit one by one on the machine. 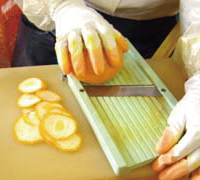 Then cut the both the top and the bottom edge of the fruit. It is then pressed the fruit from both upside and downside. 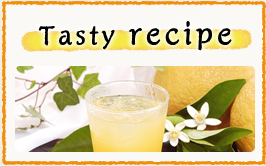 The finished product of fresh juice without unnecessary flavoring is kept and matured. 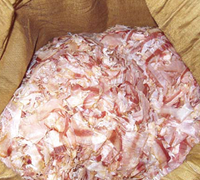 Our products make the best use of its natural material to bring out the flavor. 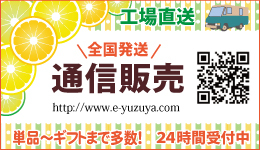 It’s the secret of our product. 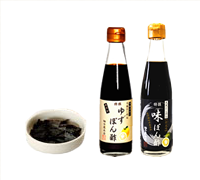 We select the raw materials very carefully using natural materials such as Kombu(kelp) seaweed, dried bonito shavings, shiitake mushrooms for Aji ponzu dressing. 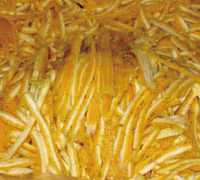 Our products are developed by using the fruit peel or sliced processed peels. 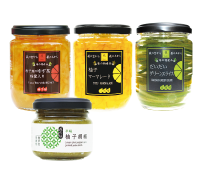 Even though we never use coloration or any additive, the Natsumikan marmalade or Natsumikan slice do keep their beautiful natural color.